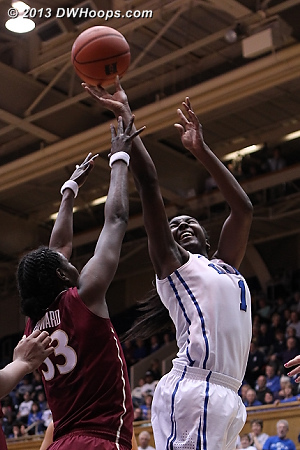 This gallery includes captioned photos that tell the story of Duke's 61-50 win over FSU, including quotes from tonight's post game press conference. 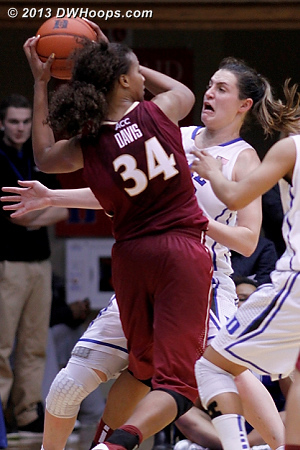 Chloe Wells came in to run the point after Alexis Jones got two quick fouls. 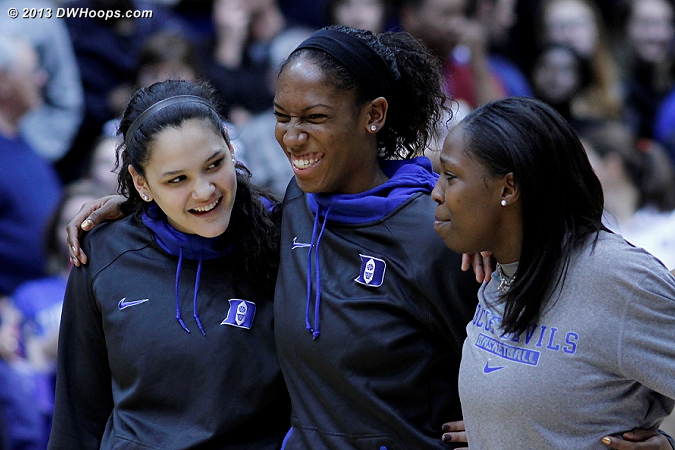 Coach McCallie described that as "the freshman thing." 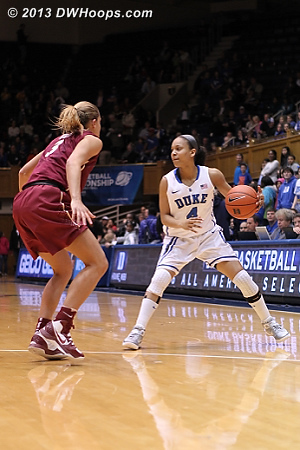 Wells hit Duke's second trey, 6-4 Devils in a half where baskets proved to be few and far between. 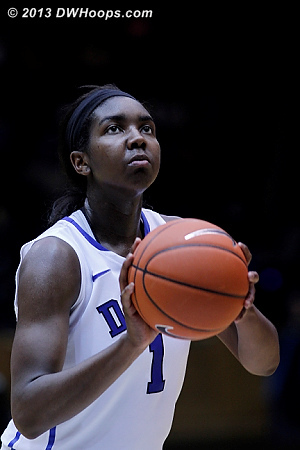 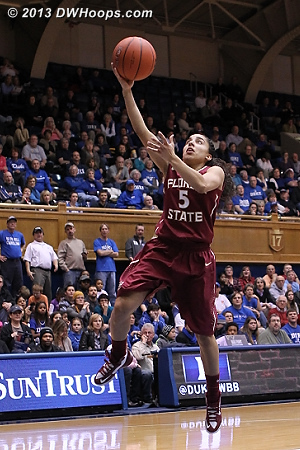 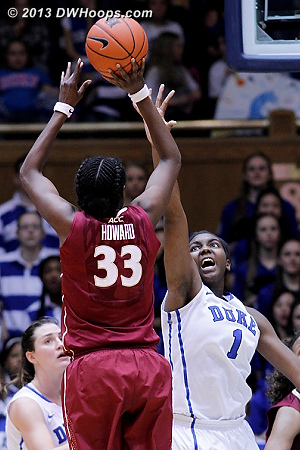 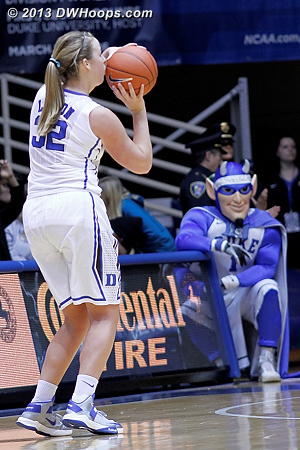 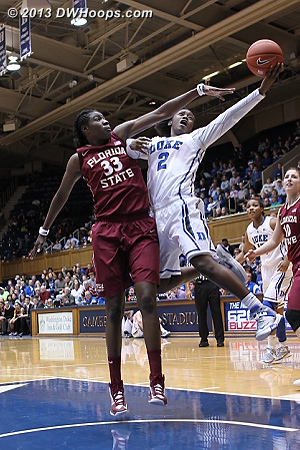 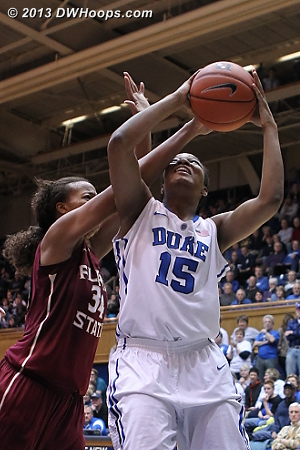 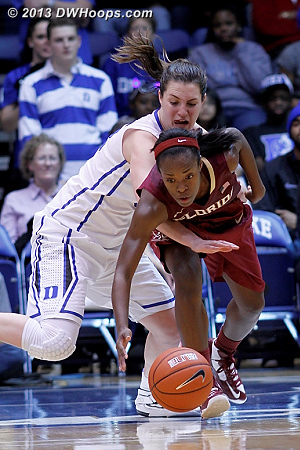 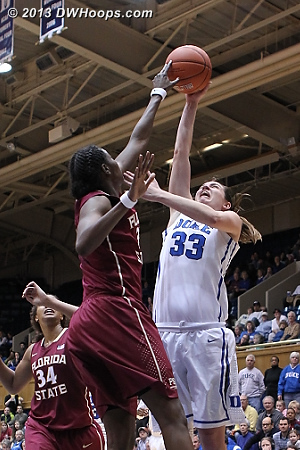 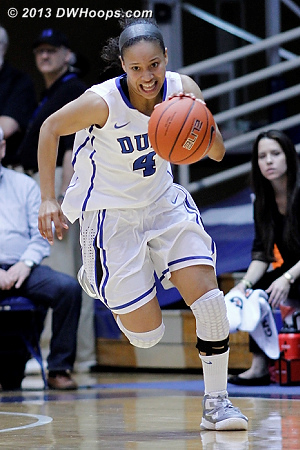 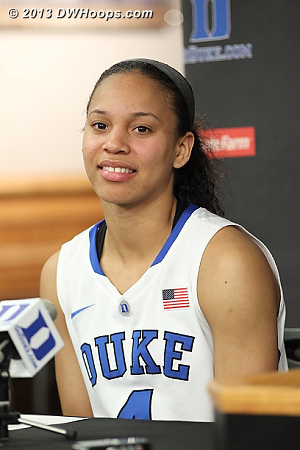 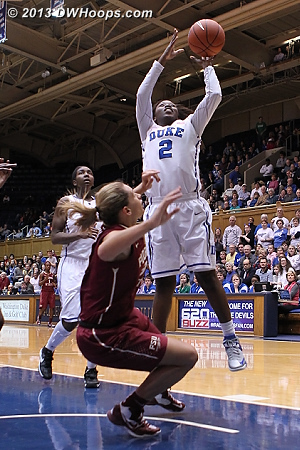 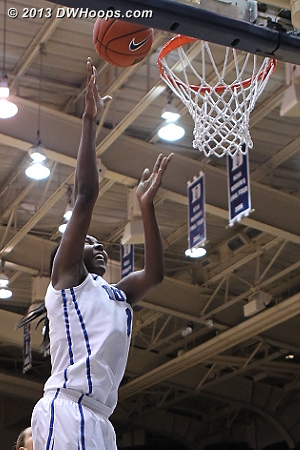 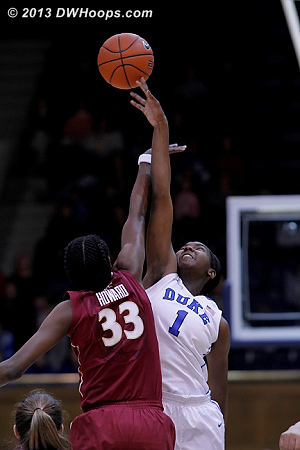 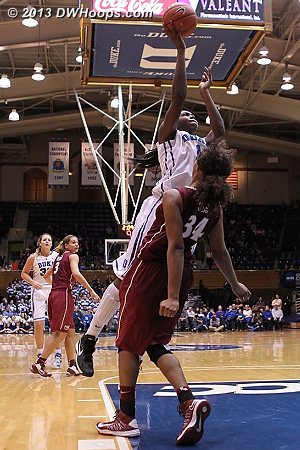 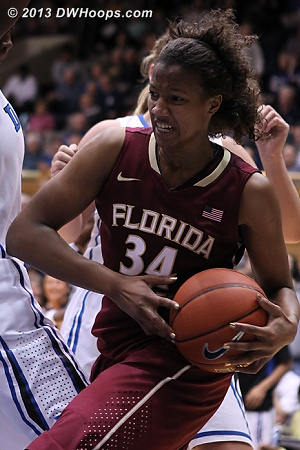 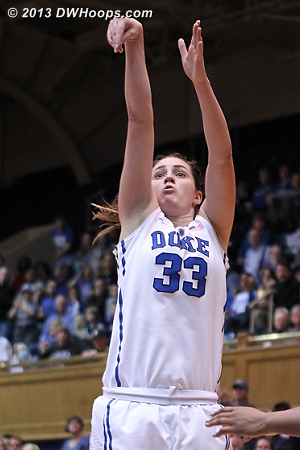 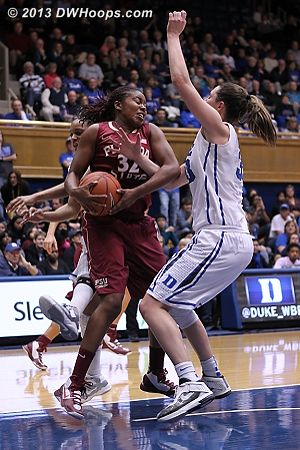 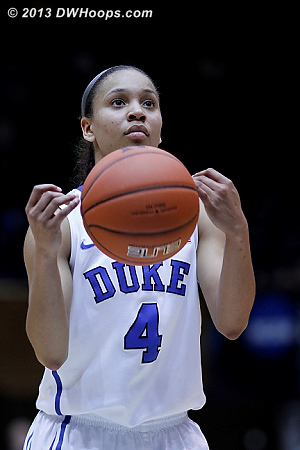 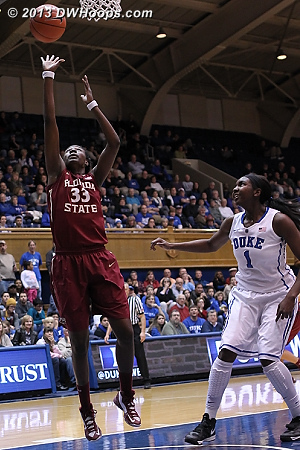 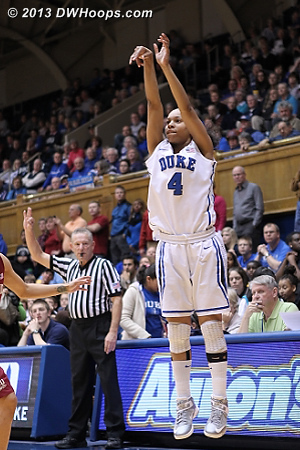 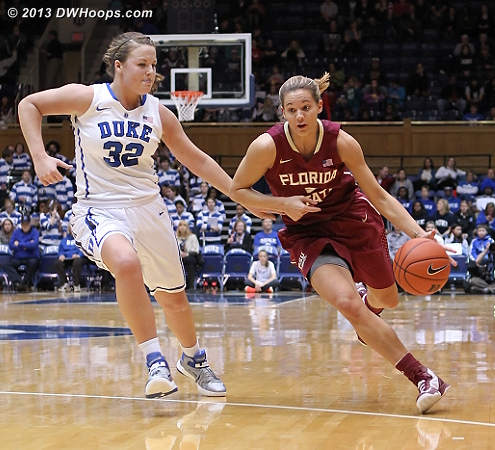 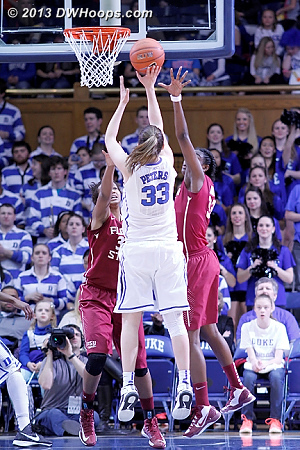 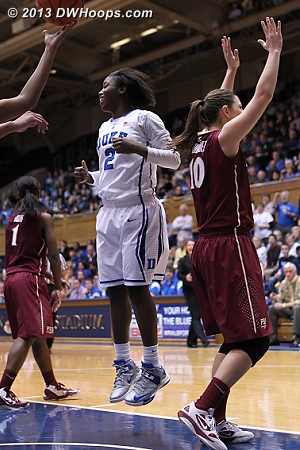 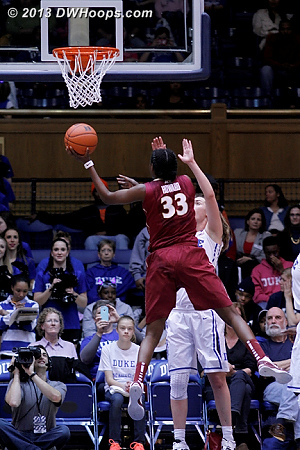 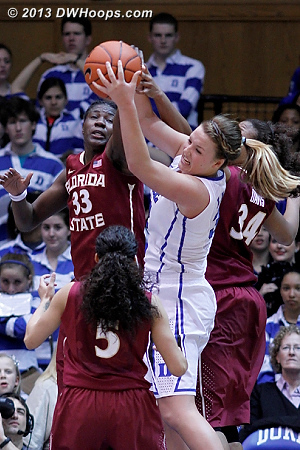 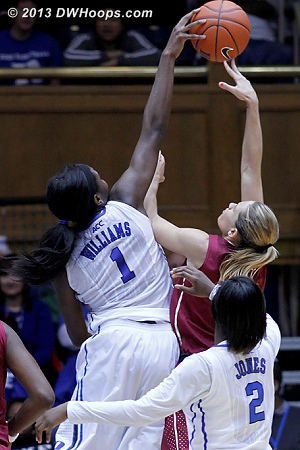 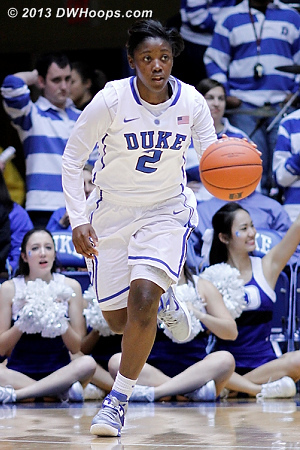 Duke tied the game on Elizabeth Williams hoop and one. 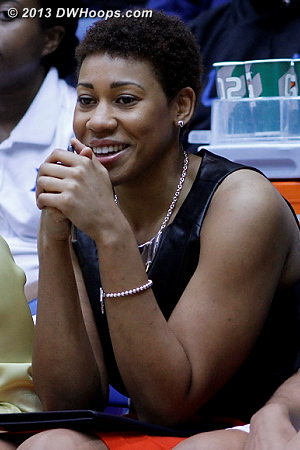 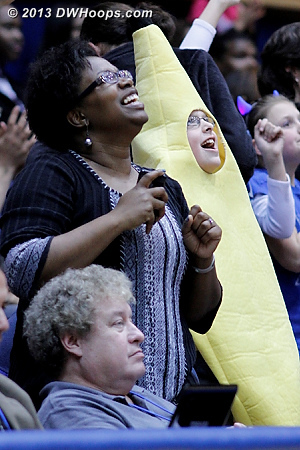 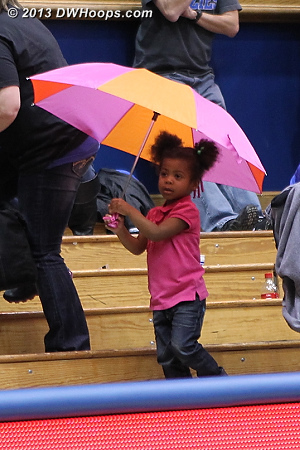 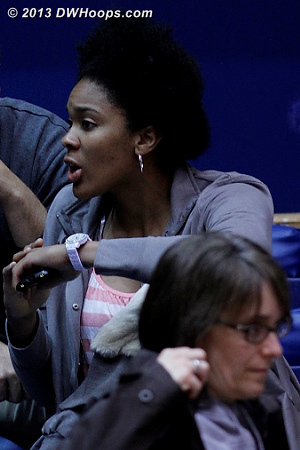 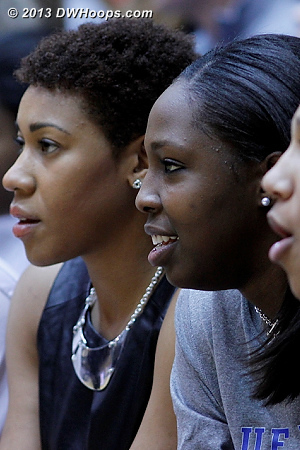 Hey, it's Krystal Thomas in the stands! 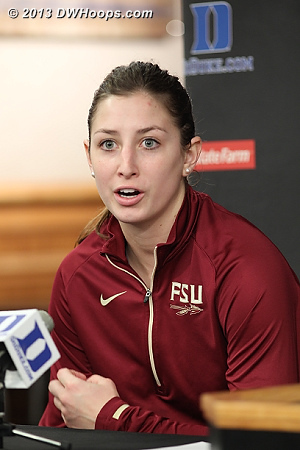 She cheered for her step-sister Alexa Deluzio and FSU today. 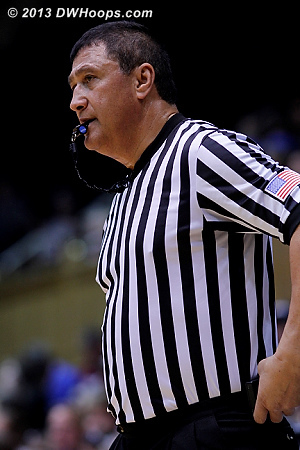 Semrau opening statement: "What a great environment. 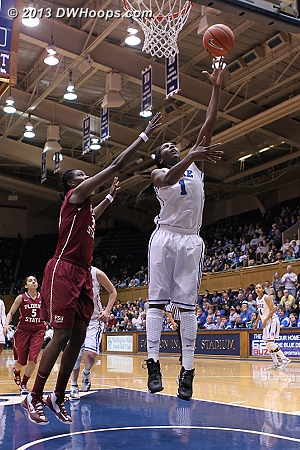 I think this is one of the special places to play college basketball. 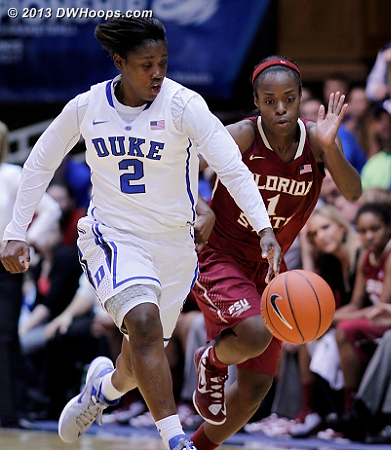 I thought when Duke closed the gap and started making that run and pulled ahead, the crowd made the difference." 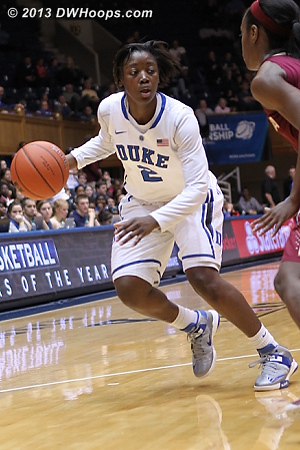 Semrau: "We lost our composure on a few possessions, and credit Duke... that's not who we are, but I am glad this game happened and I'm glad it was the way it was. 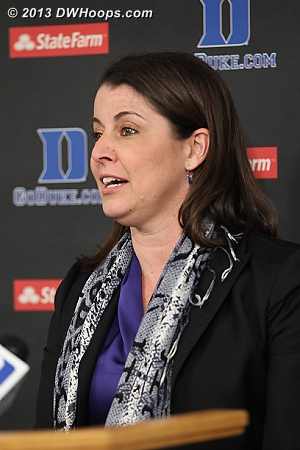 It gets us ready for what's ahead." 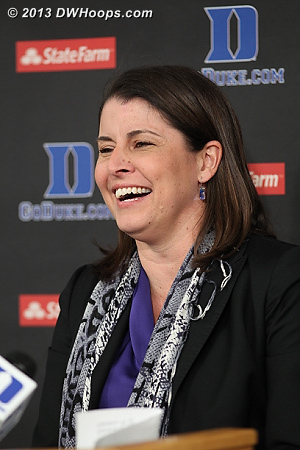 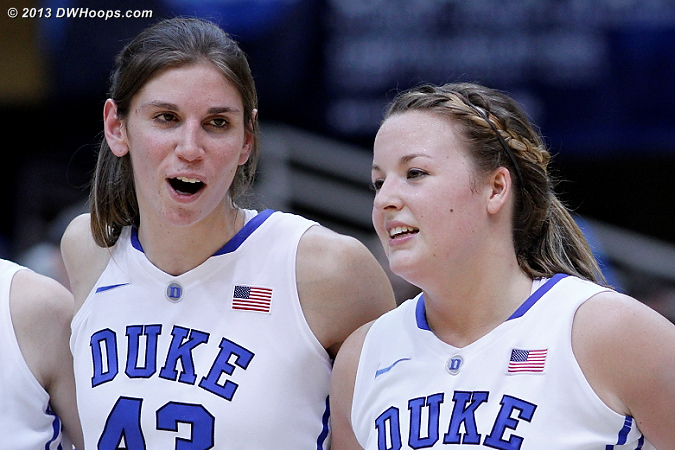 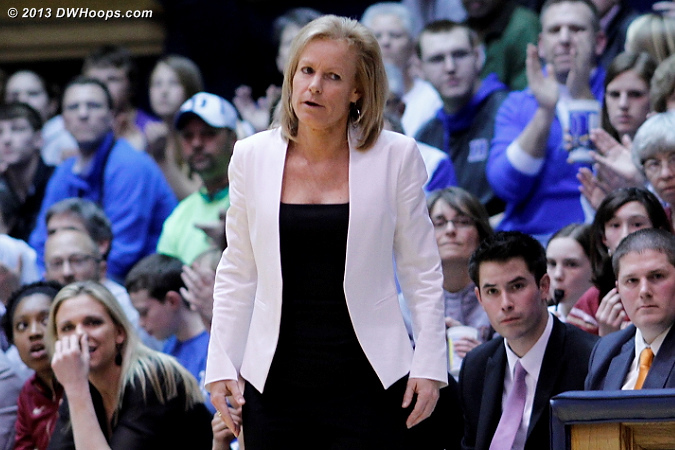 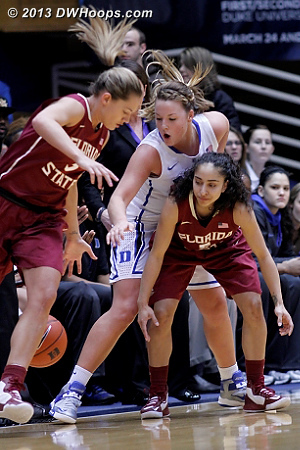 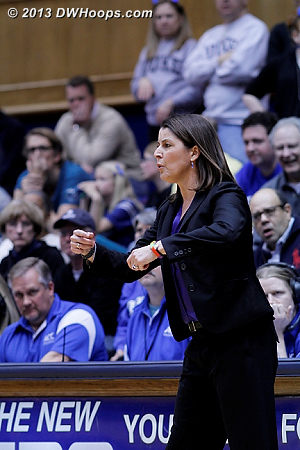 Deluzio: "Duke is known for their defensive pressure but I thought we handled it fine. 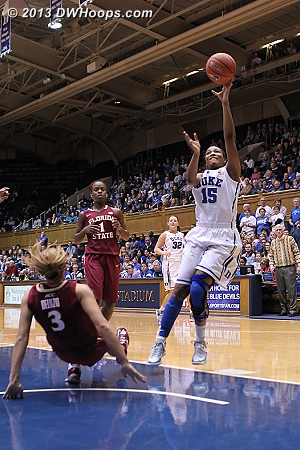 We didn't make plays down the stretch, in the last two minutes when we needed to." 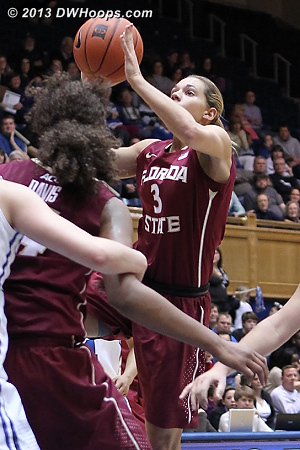 Rodriguez on this year's FSU team: "We can talk with each other, and we fight for a reason. 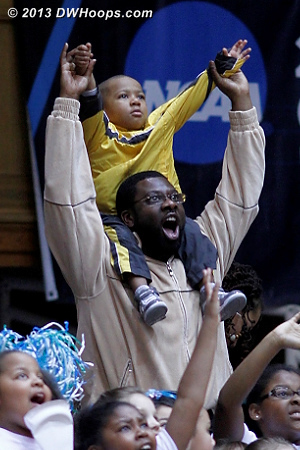 I am going to fight for you because I know you have my back. 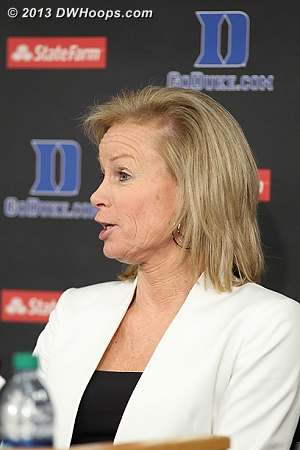 It's the key for our success this year." 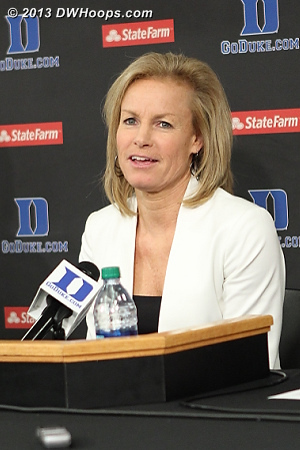 Coach P opening statement: "It was a nice battle for our team. 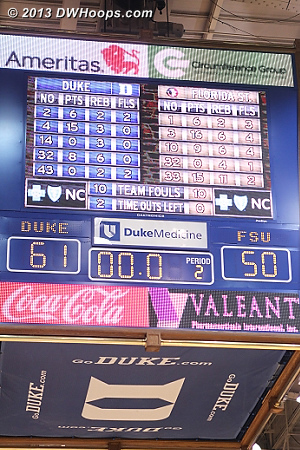 We can certainly play a lot better. 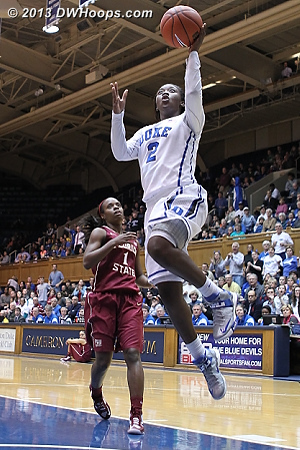 It was a great game and an excellent crowd." 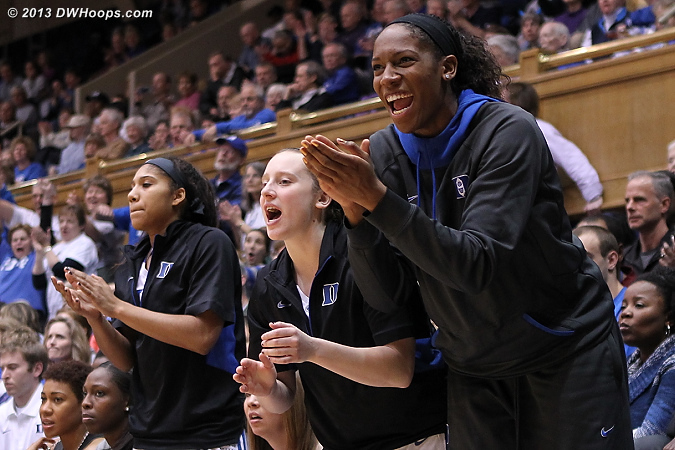 Williams on the crowd: "I could definitely feel the energy. 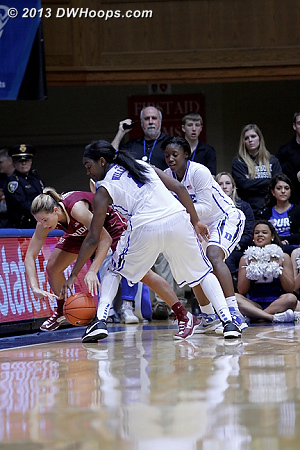 Having that extra push from the crowd is nice." 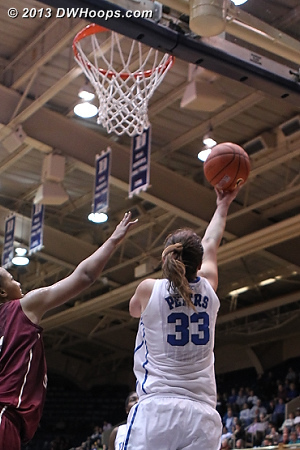 McCallie on Haley Peters: "She is a woman of steel. 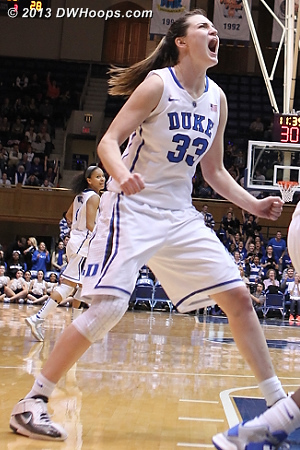 Haley is a pretty special cat. 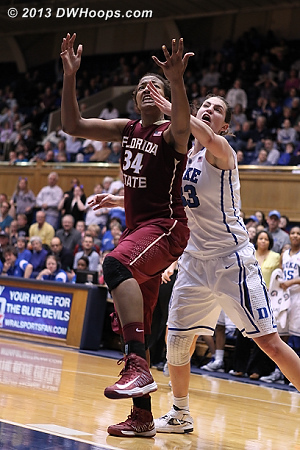 She was frustrated with her offensive game; she goes out and gets 14 rebounds. 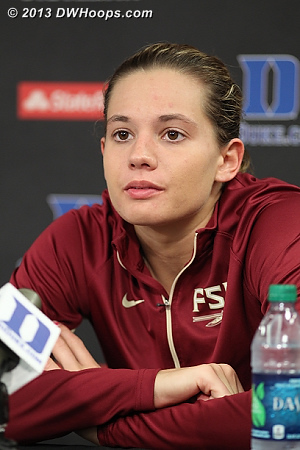 When I go to war, I want Haley Peters on my team." 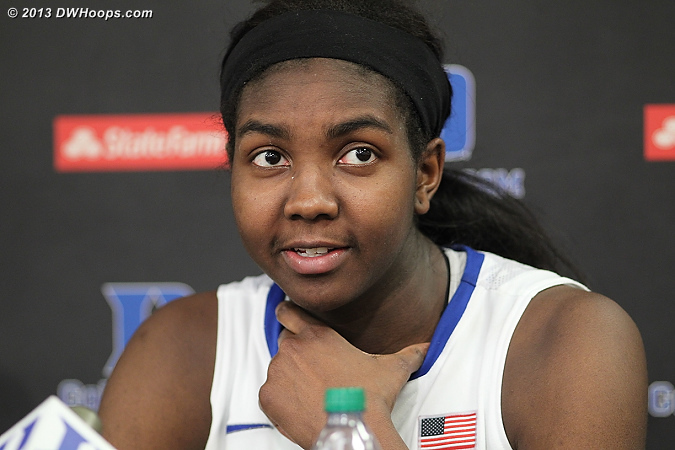 Chloe Wells: "I just played hard without really thinking about all the stuff that has been going on. 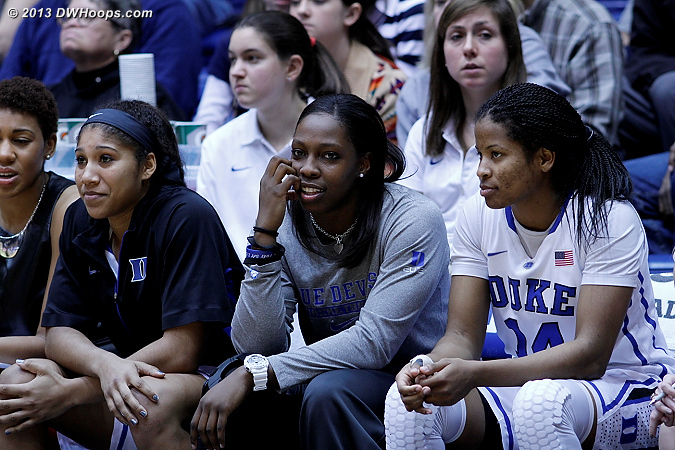 It doesn't matter what position I play, I'll do anything for my team."